You are here: Home / POSTS / WELLNESS / CBD oil therapy / what is the best brand of CBD oil? 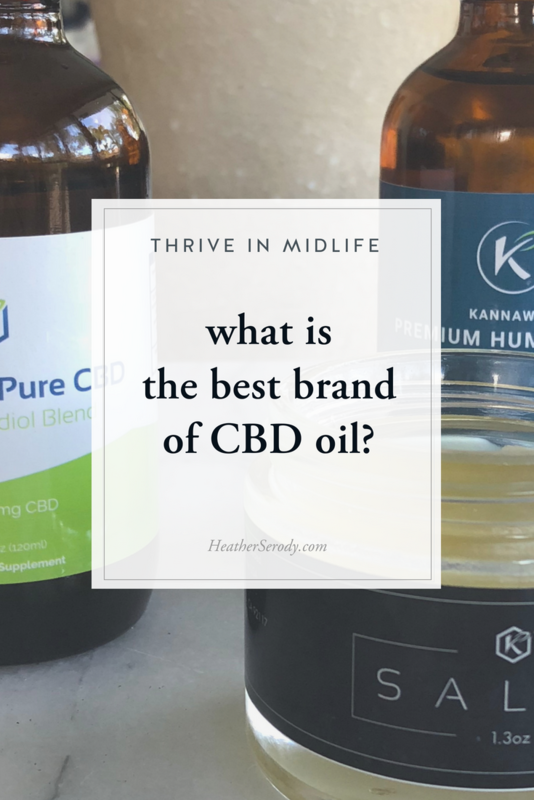 what is the best brand of CBD oil? Not all CBD is created equally. If you read my Beginner's Guide to CBD oil, you know why CBD is exploding in popularity. Studies show its promise to maximize your health & wellness in a natural way that works with your body's own physiology. 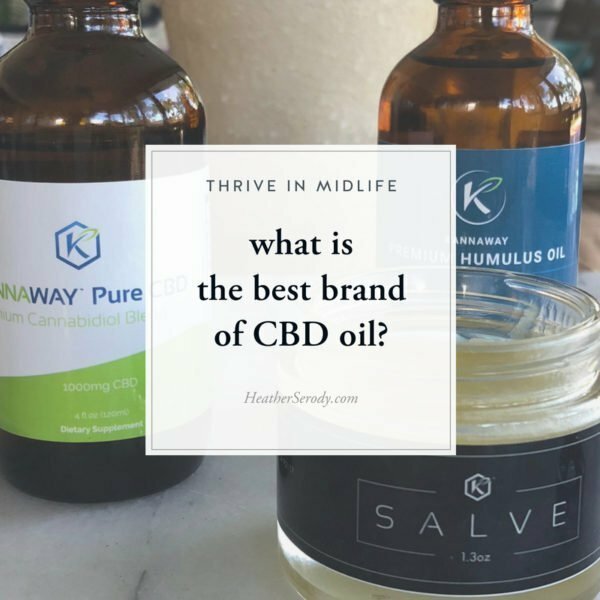 In this post, I want to explain a little more about why Kannaway is my number one recommended CBD oil brand and the one I personally use myself. …are triple lab tested beginning with harvesting to ensure the hemp plants are heavy metal and toxin free. This is important because the hemp plant is a bioaccumulator, which means it can take up toxins from the soil. Kannaway tests again after the oil has been extracted from the plants to ensure quality & purity standards. After the oil has been imported to the U.S, it is tested again during the manufacturing process to ensure the potency, safety, and purity of the final product. …comply with U.S. law for importing and distribution, because only CBD derived from imported industrial hemp may be legally distributed in all 50 states in the U.S.
…are sourced from non-GMO hemp grown in Europe, without herbicides, or pesticides. …deliver high CBD potency per serving giving you a better value and the convenience of not having to take greater servings to get the potency you desire from your CBD oil. …contain the same formulation as Real Scientific Hemp Oil (RSHO), which is a prescription medicine in countries such as Mexico and Brazil, where it is federally approved for various conditions in those countries. …are not any more expensive than other CBD brands. Always compare price per milligram of CBD to get your true value. In order to get the recommended serving of 25-50 mg of CBD per day, the CBD oil you buy needs to contain between 750-1500 mg of CBD to get the results you're looking for. In my beginner's guide download I offer a range of prices and a few specifically selected brands at different price points that I have personally researched and that meet my standards. However, I highly recommend and use Kannaway full spectrum oil & capsules for all of the reasons listed above. Kannaway is a pioneer in the emerging CBD market not only in the United States, but also globally. Their products are all sources from imported European hemp that is triple tested all along the manufacturing line. Remember that some CBD brands may initially look much less expensive, but that is usually because their products are not every high in CBD per serving. Be sure to compare how much CBD you get per serving before you make a price comparison. Because Kannaway products give some of the highest amounts of CBD per ounce, you end up using less product and actually end up saving money as compared to using a cheaper product. I love Kannaway products so much that I have partnered with them as a Brand Ambassador. To check out Kannaway products just click the link below. If you have questions, or aren't sure where to begin, I am here to help. first, check out my beginner's guide to starting CBD therapy, and be sure to grab your free download which tells you exactly how to get started. If you want to talk to me about my research findings and my own personal experience with CBD oil, book a FREE CBD phone consultation with me. Just use the scheduler below to book a time. You can also comment below & I'll do my best to point you in the right direction. If you are interested in being part of this exploding industry and would like to partner with Kannaway as a Brand Ambassador I can get you started with that, too.